We’ve been servicing Stockton, California and surrounding areas for over 15 years. Our biggest satisfaction is to give you the best service in town. That’s why we work with experienced technicians that are professionally trained, using the proper tools and techniques. We provide moving services for most pool tables. We move from home to home, business to business or garage to garage for storage. We do complete moves, tear down only, set up or installation only and pool table refelting. Our pool table moves are done by technicians professionally trained. Every moves service is guaranteed by the ABIA. Why should you get your pool table moves by a pro? We properly tear down your pool table, safely load it, transport it in pieces and relocate it to the new home, we then take care of the pool table assembly by building it from the ground up and professionally level the frame and slates, seal the seams with beeswax giving you a perfectly flat playing surface and recover either with the existing material or new cloth. Having your pool table moved by a non-professional installer is very risky. There’s a lot of processes involved in. It is almost necessary to have professionals such as us to move your pool table from one place to another. One should always be cautious when moving a pool table with anyone else other than a professional because only a professional knows how they should and shouldn’t be moved and not many people can consider themselves professional pool table movers. As a side note, we recommend you having your pool table setup done by professionals to avoid risks. The reason being is that it’s just too dangerous to do it yourself or with an inexperienced group of guys. This doesn’t mean it can’t be done if you take the risk because it obviously can. Nonetheless, it is always a good idea to have experts come and tear it down, and move it the way they’re meant to be moved. We suggest visiting our pool table room measurement guide to have an accurate pricing. 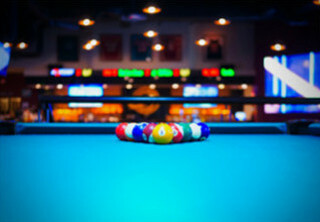 To determine the price of moving the pool table we must take into account the dimensions of the table, the type, and model of the table, as some are easier to disassemble and reassemble than others, and any other circumstances and situation of the move. We can assess any pool table repair that needs to be done and even advises you about doing a new pool table refelting at the time of service. Pool table moves and repair with our nationally backed company are easier than ever, accompanied by a guarantee on our service. Give us a call for more information! Rewarding your confidence in us, our pool table moves are done by experienced pool table movers we can provide services for most types of pool tables. These include moving from one home to another, from a home to a storage garage in the event of wanting it back on the property, from home to business and vice versa. Other services include disassemble, installations, felt replacements, leveling and more. The process of moving and installing a pool table can be a very dangerous process on your own, because of the heavy pieces or the risk of damaging your table, or worse, yourself or your property. A professional certainly will make that risk as small as it can be, by taking appropriate measures to ensure safe, satisfactory pool table services. For an accurate pricing on pool table repair job, we recommend you to check our pool table specifications page.